THE WORLD´s BEST SKATE SHARPENER? 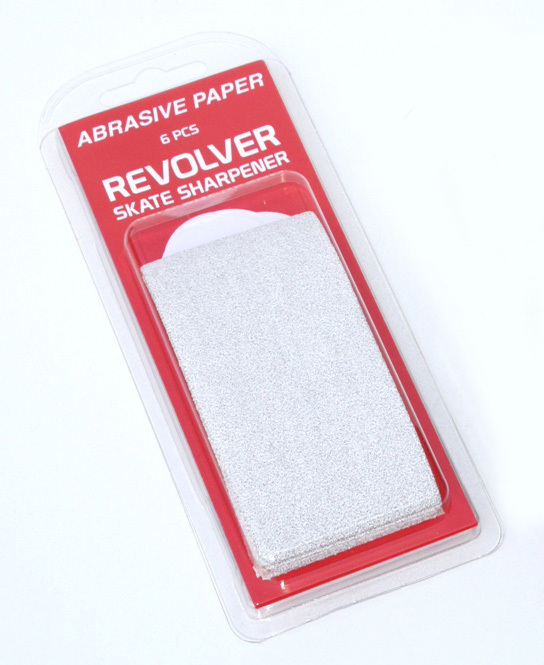 The sharpener is handheld and ideal for sharpening Ice-Hockey, Bandy and Tour skating blades. Low weight and a compact size makes it easy to bring to training, match and excursions. 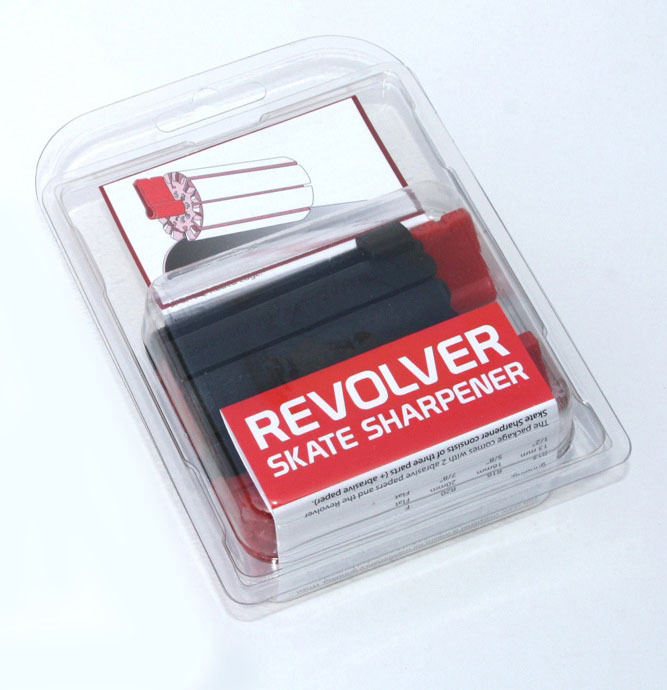 Revolver Skate Sharpener can sharpen blades of most common widths. The sharpener can be set for three different radius of hollow, R13 , R16 , R20 and Flat grinding. Price 350 SEK including 2 pcs of grinding paper and User Instruction. 6 extra grinding papers 50 SEK.